For locals, it is no secret that Brooklyn has a crime rate higher than the national average. We love it here, but we also want to keep our family safe from theft and burglary. Putting in a security camera system is a great idea and if you live in Manhattan Beach, you’re in luck because with M&D’s practical experience, we know the kind of security cameras, surveillance devices and alarm systems that perform effectively for you. Over time our customers have had similar concerns so we thought we would share a few of them below. What are examples of common uses of home security cameras? There are lots of uses, but we find that many Manhattan Beach residents use home security cameras for some specific purposes. Frequent uses are: As prevention for break-ins or robbery; to protect family members from intruders; to watch over in-home health care providers, household staff and nannies. Which are the most popular security cameras for Manhattan Beach homeowners? We hate to play favorites, but from years of experience, research and servicing, we find that there are three brand names that set themselves above the rest. The three brands that shine are Bosch, Samsung and Sony. These are the three that M&D sets up the most. We maintain and service other makes and models as well should you have a preference. IP or network cameras have become popular among Manhattan Beach residents. They permit surveillance from any device and can easily integrate a number of other options such as remote surveillance, wireless technology and multi-viewing. You’ll be able to monitor your home from your computer in your office or even from your mobile phone while on vacation. We are big fans of Dome cameras. They are better looking, not intrusive and support a broader scope of surveillance. If you’ve been to Atlantic City or Coney Island hotels you’ve probably recognized the dome structures sticking out from the ceiling. The contour makes it an attractive selection for those looking for a maximum view without the protruding arm of other cameras. Imitation models are often applied as mostly deterrents and are not much more than the camera covering. 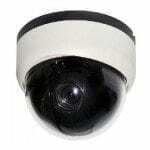 Dome camera casing is typically used for artificial cameras. These units tend to be used by individuals who can’t afford an actual surveillance system, but need a deterrent for would-be intruders. They even have blinking lights to make them look authentic. Manufactured to be more durable, outdoor models are housed in a case that will help them stand up to the harsh New England weather conditions. The lenses are often made out of fog resistant glass so moisture and humidity doesn’t obstruct the view. In most cases, they are pointed in one place and possess limited range. Some can usually rotate their direction, but the majority of cameras are one-directional and need to be adjusted by hand to change camera angles. Infrared technology or green low light vision cameras can use minimal light to enable you to see clearly in almost full darkness. The versatility of these cameras have advanced greatly recently and now some function in both day and night, providing you 24 hour surveillance capability. Wireless units have become common among Manhattan Beach. Both indoor and outdoor units may be set up for wireless installation. 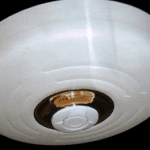 Covert and hidden cameras can take on the appearance of a smoke detector, portraits, nic nacs and even Kleenex boxes. We typically advise that your cameras be obvious to everyone, however. It’s always better to avoid burglaries and unwanted entry whenever possible. Motion detectors may be installed with your burglar alarm and security system. Cameras are triggered whenever the sensing unit detects movement. The recording starts any time movement is detected. Check with your security expert to determine which configurations are best for you. Security systems have become much easier to manage in the past few years. If M&D installs it for you, we’ll teach you how it all works until you are completely satisfied and comfortable with your system’s operations and capabilities. How can I install my system? Don’t do it on your own. Let a professional do it for you. We come across a lot of installations that are partially complete or were done incorrectly because the customer purchased their unit at Walmart or Target instead of from a security system professional. These outlets also sell low cost security devices, which are very limited in the scope of their effectiveness. Your cameras cannot be properly installed without the technician on site. Knowing exactly how to position your camera to get maximum visibility, avoid glare and act as a deterrent is the work of a trained expert. Use a professional installation technician. We’ll help you prevent costly problems down the road. How efficient are camera networks? Just how well will they work? The office of Homeland Security asserts that video security cameras have been shown be very effective, but only if installed correctly and used effectively. The leading problem with poorly functioning units is flawed installation and incorrect usage. That’s why your video cameras must be installed by an expert. It is not difficult for experienced thieves canvassing Manhattan Beach to be able to tell if your units were mounted correctly or not. What to Look for in a New System? Use a pro. Don’t attempt installing your cameras and wiring on your own. Don’t risk the safety of your loved ones by cutting corners. Call M&D at (718) 484-4050. Our specialists are experienced in Manhattan Beach home security installation. Your new system will be fully tested and operational once the installation is finished. Decide if you’d like black and white monitors or color. Significant savings may be involved, but there are other concerns as well. The amount of available light in an location may help you decide. Dimly lit areas in addition to those with a high degree of variable light will often do better with black and white. Color ought to be used for indoor security cameras. Choosing the best resolution for your monitors is important. The greater resolution, the clearer your images will be. Low resolution can be less expensive, but aren’t good for detailed face or feature recognition. It’s very important to get hardware that is compatible. On occasion, we find homeowners who have acquired several makes and models and have discovered that their cameras were not compatible with their other monitoring units. Try to stick to the same manufacturer for all your equipment whenever you can. 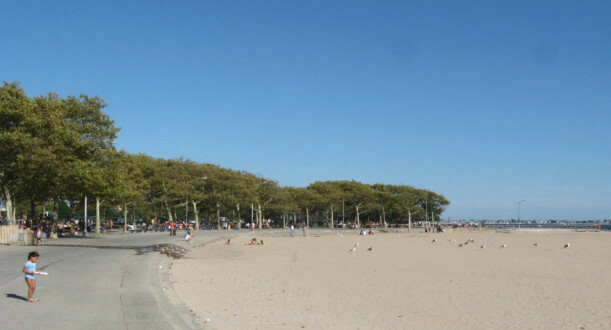 What can I expect to pay for a solution in Manhattan Beach? That’s the only question here that’s tough for us to answer without knowing more information. Here’s what we need to determine: What exactly are your security aims? How many rooms would you like to observe? What is the square footage of all the areas to be observed? Will your cameras be for outdoor or indoor security? How sophisticated do you need your monitoring system? Do you require 24 hour surveillance, limited surveillance or motion sensors? We have given away lots of advice over the years and have helped lots of Brooklyn homeowners keep safe from intruders. Security cameras are just one way to protect your home from robberies and theft. Additional safety measures include installing alarm systems, fitting entry ways with specialty locking mechanisms and protecting all windows, doors and gates. We’ll even secure your garage door if you’ve got one. In fact, allow us to do a complete review of your home or business and we’ll show you what areas are likely to be targeted by criminals. In the event your building or block doesn’t use a neighborhood watch program, then take the lead and start one. Your nosey neighbors may be the biggest theft deterrent you have. It can be difficult in the city, but a dog can help with home security as well. For more ideas and to get a home security check, be sure you call us today at (718) 484-4050.